This confidential knowledge may never be explained to those who are not austere, or devoted, or engaged in devotional service, nor to one who is envious of Me. Persons who have not undergone the austerities of the religious process, who have never attempted devotional service in Krishna consciousness, who have not tended a pure devotee, and especially those who are conscious of Krishna only as a historical personality or who are envious of the greatness of Krishna should not be told this most confidential part of knowledge. It is, however, sometimes found that even demoniac persons who are envious of Krishna, worshiping Krishna in a different way, take to the profession of explaining Bhagavad-gita in a different way to make business, but anyone who desires actually to understand Krishna must avoid such commentaries on Bhagavad-gita. Actually the purpose of Bhagavad-gita is not understandable to those who are sensuous. Even if one is not sensuous but is strictly following the disciplines enjoined in the Vedic scripture, if he is not a devotee he also cannot understand Krishna. And even when one poses himself as a devotee of Krishna but is not engaged in Krishna conscious activities, he also cannot understand Krishna. 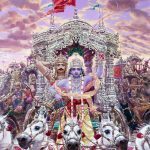 There are many persons who envy Krishna because He has explained in Bhagavad-gita that He is the Supreme and that nothing is above Him or equal to Him. There are many persons who are envious of Krishna. 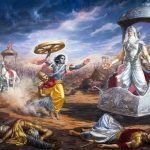 Such persons should not be told of Bhagavad-gita, for they cannot understand. 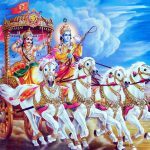 There is no possibility of faithless persons’ understanding Bhagavad-gita and Krishna. Without understanding Krishna from the authority of a pure devotee, one should not try to comment upon Bhagavad-gita. 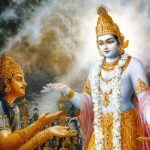 Having given the instructions of the scripture of the Gita, the Lord now indicates the process for passing on the information, starting a sampradaya. Atapskaya refers to one who does not control his senses. Even if a person controls the senses, if he is not a devotee, he should not be taught. Even if he is qualified with three good qualities just mentioned (sense control, devotion and obedience), he should not be taught if he is envious me, who thinks that I am a combination of material qualities contaminating the pure brahman. 18.67 I have taught you this most secret doctrine. This should not be imparted by you to someone who has not practised austere disciplines. Never should this be taught to someone who is not devoted to Me and to you, the teacher (i.e., when you have to play the role of a teacher of this doctrine). The meaning is that it should not be taught by you to someone who, though practising austerities, is not a devotee and does not serve Me. It is also never to be taught to one who has no wish to listen, even though he is a devotee. Nor should it be imparted to one who traduces Me, that is, who — when My nature, glories and attributes are described — discovers defects in them. The differences of case (from ablative to nominative form) is to teach that the last one is the most despicable character. 18.67 Idam etc. 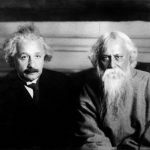 If the secrecy of this knowledge is maintained it would yield success, because It is out of reach of all [ordinary] persons. When the knot of sin is cut off through observing austerities, then only the results of good act is ready to become ripe. Hence, austerity comes first. Due to austerity, faith is born. The same (faith) is devotion here. The faith, even if it is born, does not grow well, in case it becomes visible only for a moment and then perishes like lightning. Therefore to help its growth, the desire to listen to is [next]. In the case of certain person, even all this arises with regard to the useless knowledge of the dry Sankhya (reasoning) system that admits no Supreme Lord. Even with regard to a system that adimts the Supreme Lord, it may, n the case of another person-on account of his craving for fruit of action-emerge by raising the fruit-of-action alone to the status of importance and by humbling down one’s own Worshipful Self to the role of an instrument in achieving that fruit It has been declared : ‘The agent also [is an auxiliary], because he is for the action [enjoined].’ (JS, III, i, 6); and ‘Actions also [are auxiliary] because they are for the purpose of fruits.’ (JS, III, i, 4). Thus in both the instances there is indignation, meaning ‘disregard’ with the Bhagavat (Self) – This is the purport. idam — this; te — by you; na — never; atapaskāya — to one who is not austere; na — never; abhaktāya — to one who is not a devotee; kadācana — at any time; na — never; ca — also; aśuśrūṣave — to one who is not engaged in devotional service; vācyam — to be spoken; na — never; ca — also; mām — toward Me; yaḥ — anyone who; abhyasūyati — is envious.